Our BLUE LABEL stones are offered at an affordable price to give more players the opportunity to access and use Go stones made of real clamshells. 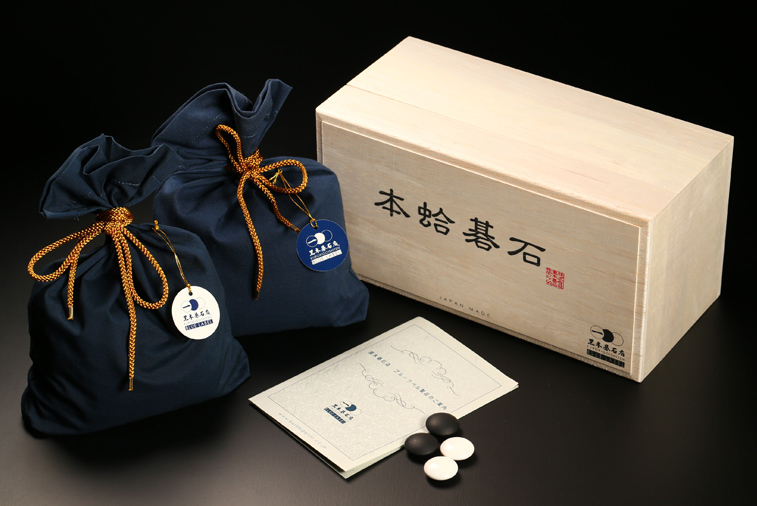 Their specification is nearly equal to our two highest grades stones “Carefully-selected Snow/Blossom Grade”. We hope that you will able to touch and experience the excellency of real clamshell stones thanks to our BLUE LABEL line. If extra oil is attached to the black stone, please wipe off the oil with a soft cloth before use.